Toronto's Exhibition Place has banned all-ages dance parties from its grounds, causing a wave of protest and a boycott against the club that requested the clamp down on the events. Toronto's Exhibition Place has banned all-ages dance parties from its grounds, causing a wave of online protest and a boycott against the club that requested the clampdown. Muzik, the sole nightclub on Exhibition grounds, petitioned the board to stop dance parties at other Exhibition venues. In response, the #BoycottMuzik hashtag has circulated on social media and an online petition against the club has gathered more than 5,000 signatures. Muzik owner Zlatko Starkovski says all-age dance parties attract pedophiles and drug dealers. (CBC)​The Exhibition Place board of governors voted 4-3 on April 11 to ban all-ages electronic dance music parties from its venues, the Better Living Centre and the Direct Energy Centre. Safety was a primary concern cited by board members who voted against the parties. Those concerns were brought to the board by Muzik owner Zlatko Starkovski. He told the board the parties attract pedophiles and drug dealers because of the all-ages entry and the nature of the events. Harmon Singh, a Ryerson student who organized the boycott, said those concerns are overblown and that the Better Living Centre and Direct Energy Centre are safer than places like Muzik. "These are publicly owned buildings, the policies are very strict," said Singh. "You don't get that at private venues. Inspectors don't come there three times a week." Starkovski, however, emphasized that 30- and 40-year-old men are at the parties and mingle with underage girls. He said the fact that the grounds are heavily policed doesn't matter. "What you're saying is it's better for 13-, 14-year-olds to do drugs in a safe place," said Starkovski. "It's absolutely ludicrous." 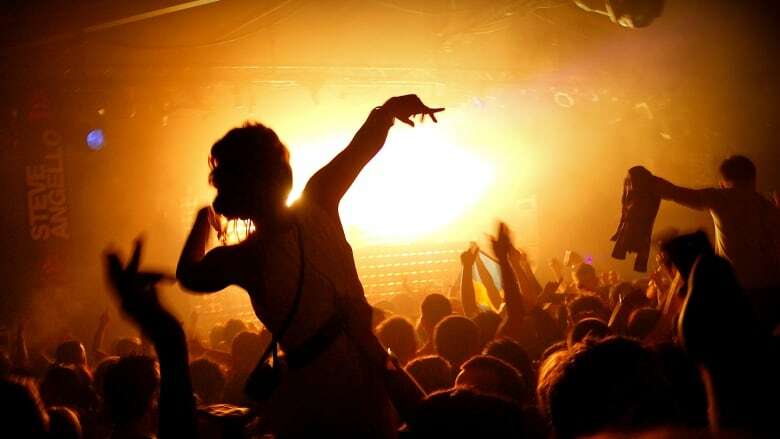 Starkovski characterizes the all-ages parties as "raves," a term made popular in the 1990s to describe large parties with DJs and dancing often fuelled by drugs. Singh and other attendees of the events at Exhibition Place call them EDM (electronic dance music) parties. "Allowing these events such as raves … not only damages our good work, but that of the Exhibition Place being a location for top notch entertainment and hospitality and events," Muzik said in a statement. Proponents claim there has been political interference in the decision. Board member Coun. Gord Perks, who voted against the ban, said the only reason the ban was considered was because of Muzik's involvement. He called it a "politically connected nightclub." Mayor Rob Ford has made several appearances at Muzik, which Perks said were part of his re-election campaign. Muzik has provided beer and wine at the mayor's semi-regular FordFest parties. The board is made up of several city councillors, also including Coun. Mike Layton, Coun. Gloria Lindsay Luby and Coun. Giorgio Mammoliti, and is chaired by Coun. Mark Grimes.